Was Steven Pinker right after all? In a recent study Canadian researchers were able to show precisely that: Music can arouse feelings of euphoria and craving, similar to tangible rewards that involve the striatal dopaminergic system. 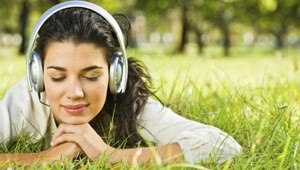 They were able to show that intense pleasure in response to music can lead to dopamine release in the striatal system. And, more importantly, the anticipation of an abstract reward can result in dopamine release in an anatomical pathway distinct from that associated with the peak pleasure itself. Honing, H. (in press, 2011) Musical Cognition. A Science of Listening. New Brunswick, N.J.: Transaction Publishers. The BBC just launched a new experiment which aims to discover more about the science of musicality. 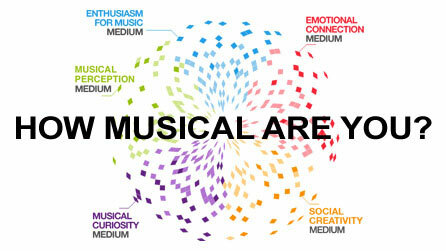 How Musical Are You? was designed by BBC Lab UK in collaboration with academics from the Music, Mind and Brain group at Goldsmiths, University of London. The scientific data will be analyzed to establish whether people who are untrained but passionate about music can be just as musical as people who have been formally trained. The experiment includes questionnaires and musical tests that evaluate your ability to categorize musical styles, memorize tunes, and recognize the beat in pieces of music. The tests aim to assess general musical ability. The initiative was recently covered on BBC Radio 4's 'Today' programme. The actual website can be found here. Interested in doing a PhD at the UvA? The Institute for Logic, Language and Computation at the University of Amsterdam currently has two four-year PhD positions available at the Faculty of Humanities (FGw) and one at the Faculty of Science (FNWI) all starting September 2011. Applications from excellent candidates wishing to conduct research in any of the areas in which ILLC is active are now invited (see description and example projects). N.B. Deadline: 1 February 2011. See for more information on how to apply here.